We used Norah's Halloween candy (or what was left of it) to make a bar graph. We skipped our regular math lesson for that day and did this instead. Gasp! 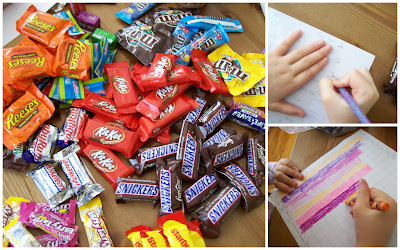 And, when were done, we even ate some candy, making our graph incorrect with only a few quick chews and swallows. Yum!